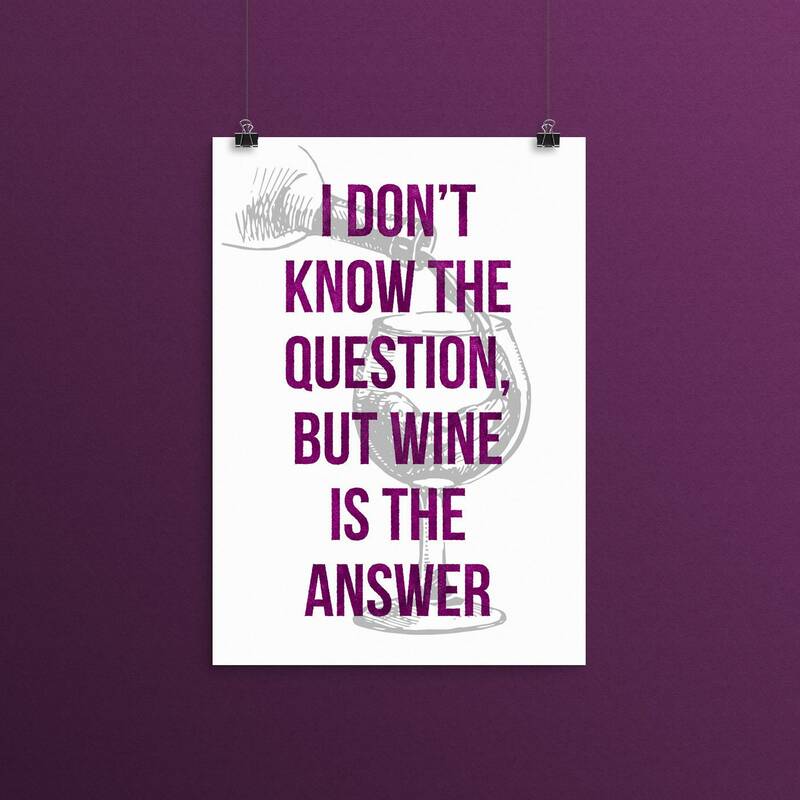 The perfect gift for the wine lover in your life, this letterpress inspired print is available in 3 sizes and would look fantastic in a modern kitchen or girl boss' office! Any questions or to request a custom colour please do not hesitate to message us! 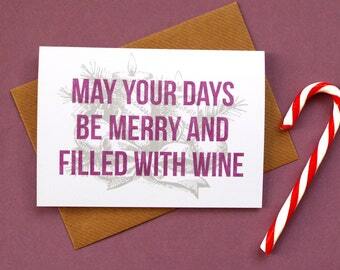 • COLOUR: Plum typography with dark grey wine glass image. • SIZE: Choose from A3 (297mm x 420mm), A4 (210mm x 2197mm) or 5x7 inches. • Printed digitally onto high quality archival paper, designed to prevent fading and discolouration. • The print comes unframed, packaged in a cellophane sleeve supported by 1mm thick craft card. • We try our best to represent the colours as accurately as possible, but please be aware that colours may vary between print and screen. • This item is designed for personal use and gifting only. Please do not reproduce this artwork for resale in any form.